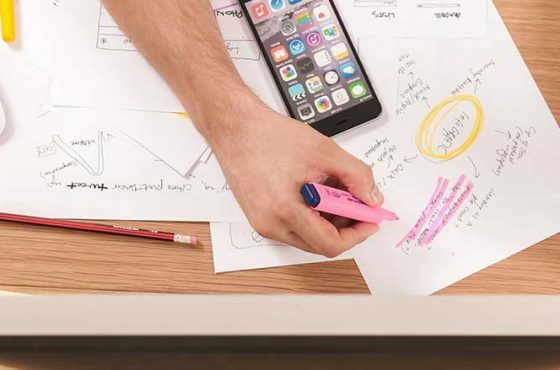 Home / Android, mobile testing / Which Android versions should I test on? Another month (and a bit) has passed, so Google has published new Android statistics [https://developer.android.com/about/dashboards/index.html]. There are no major changes but the trend is clearly visible. 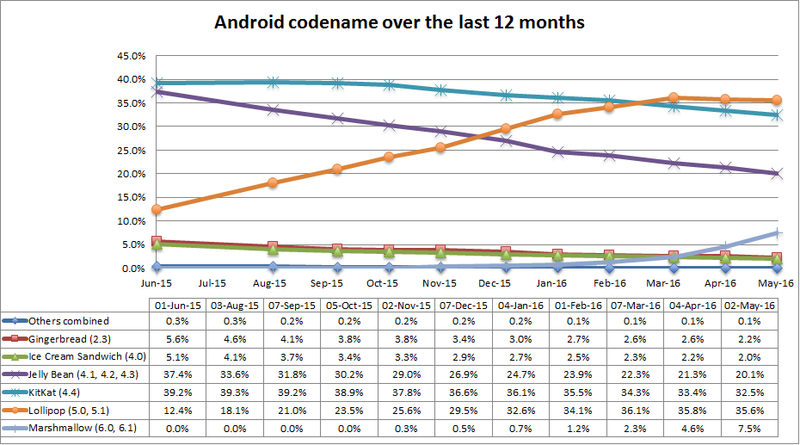 Only the latest Android version with market share (currently Android 6.0) is increasing. All other versions are stable or losing market share. This leads me to the next valuable question about existing versions. 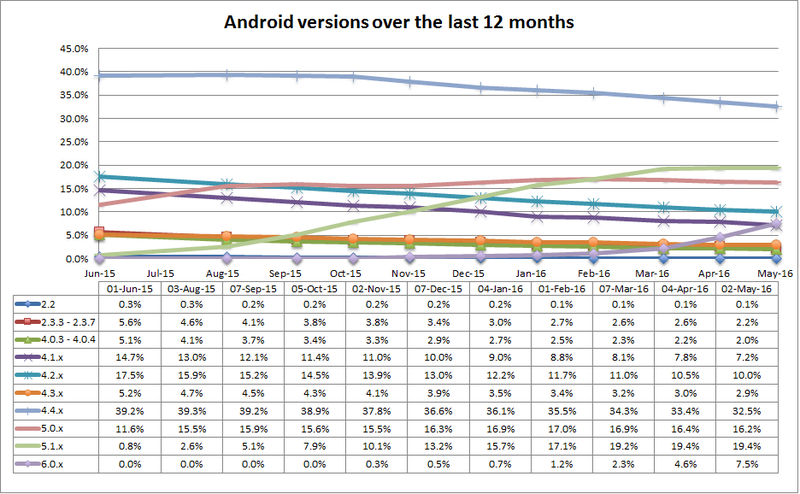 Q: How long will it take before a new Android version gets at least 5% market share? The reason I want this question answered is because when it goes above the 5% marker, it’s significant enough to be worth testing. At least until the moment a new version is released. Before we answer the question let’s look at the current Android market share numbers. I started collecting statistics in October 2012. This means versions older than Android 4.2 didn’t register. Also keep in mind that the release date of a version is not in sync with the statistical collection date. Therefore I am only able to make a rough estimate – but even so, a trend is visible. 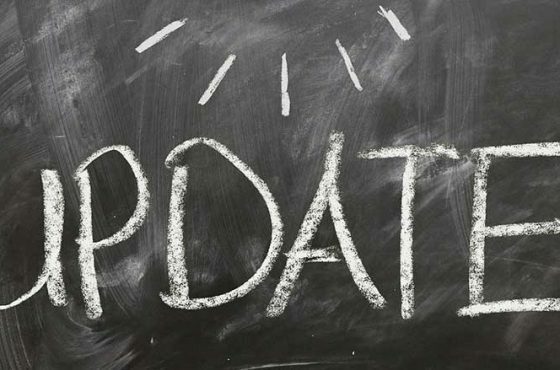 Conclusion: Roughly six months after the release date, the new version will gain around 5% of the Android pie. I also notice that one or two months after a new Android version exceeds 5% market share, all older versions lose market share. The only exceptions so far have been the Jelly Bean releases. This appears to be because the releases were close to each other (within less than 6 months). Lastly, I am aware that only a selection of high-end devices receive the latest Android versions after they have been purchased. Mid-range or low-end devices often do not get upgrades. As long as this remains the case, I expect the trends I identify above to continue. 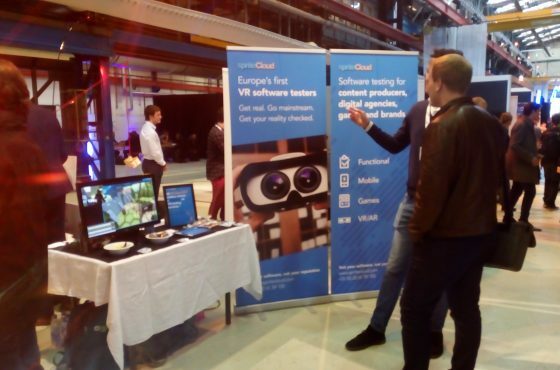 VR Days Europe 2017: what’s happening in the VR industry?